It’s time to breakout the skis, poles, snowboards, snow pants, gloves, and goggles. Yup! It’s time to hit the mountain for a ski trip this winter. Before you head out to the mountain and put your body through the fun (but intense) workout of getting down the hill, stop by your local chiropractor’s office for a quick adjustment and to make sure that your body is in proper working order. An evaluation of the musculoskeletal system by a chiropractor can ensure that the body can withstand the pressure in the event of a fall or crash because any experienced skier or snowboarder knows how much falling on an ice patch can hurt. If you have been injured during skiing, it is important to receive a full evaluation to understand what parts of the body were affected. Call your local chiropractor to schedule an appointment today, so we can help you recover from your skiing injuries. What many skiers and snowboarders don’t realize is how effective a spinal adjustment is before and after a trip the mountain. 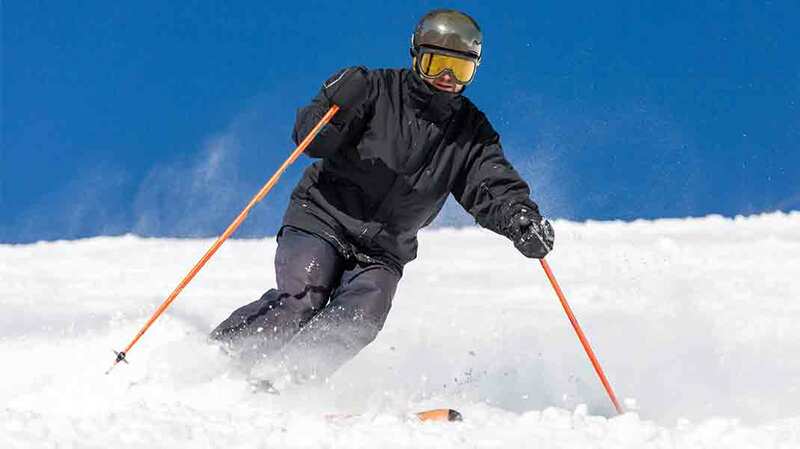 Both skiing and snowboarding are very strenuous on the back and joints of the body, especially on the knees and hips. Since a chiropractor focuses on the bone and muscle systems of the body, they are an ideal choice for injuries related to these areas. In fact, chiropractors are available for Olympic skiers and snowboarders at every winter Olympics to help them prepare their bodies for the impact of the sport or to assist in the recovery process of from an injury. Before a person goes skiing, most chiropractors recommend to work out and get the muscles and body more toned to avoid any strain or tears to the muscles. Regular workouts a few weeks before skiing will help the body remain strong and ready for the physical activity that skiing puts on the body. Additionally, a person’s equipment also plays a key role in this type of activity. Many injuries take place because of faulty or poor-fitting equipment, so make sure to tune up your body and gear before you go skiing. Remember, when the day comes to hit the slopes, be sure to stretch properly to warm up the body for the physical activity, just as you would for any sporting activity. Also, keep in mind that a person should not ski above their ability. Many skiers get injured when trying a new trick or fall from going too fast down the hill on a run that was over their skill level. If you’re a beginner, stay away from the double-blacks. After your trip, the cold may cause symptoms to become delayed, which means, you may not feel an injury until you get home or a few days after returning. If you begin feeling like your body is out of alignment or a sore back has become overwhelming, you could be suffering from an injury to the spine. Don’t fret, chiropractors can offer a solution to the pain and may very well get a person back to normal after a series of adjustments. Keep in mind that everybody responds differently to chiropractic care, and results may vary, depending on your condition and level of pain.